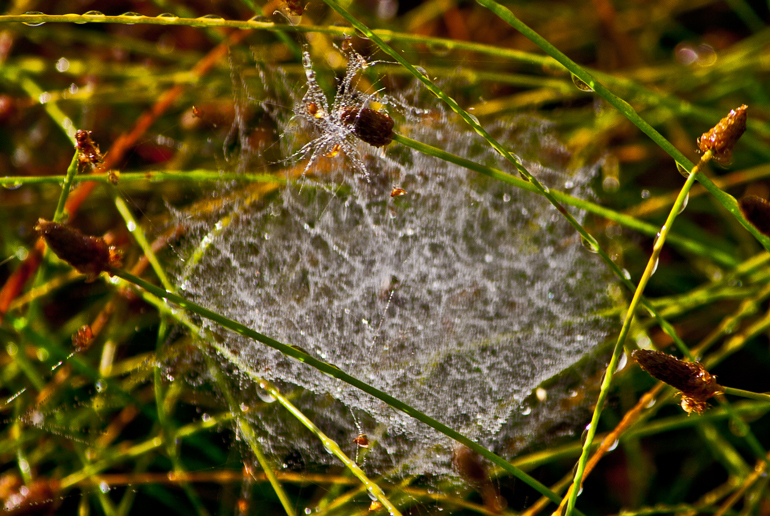 If you go out early in the morning, you have undoubtedly seen flat dew-covered squares of web material scattered all over the ground. 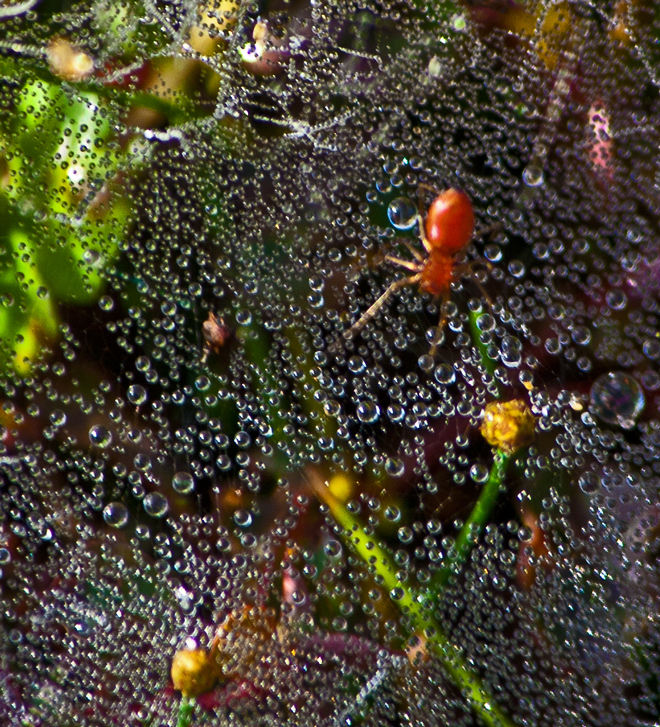 Yesterday morning at Huntley Meadows Park, I decided to explore several of them, hoping to find one of the spider-architects. Eventually I was able to find and photograph one of these spiders, which are commonly known as American Grass Spiders (g. Agelenopsis) or funnel weaver spiders. 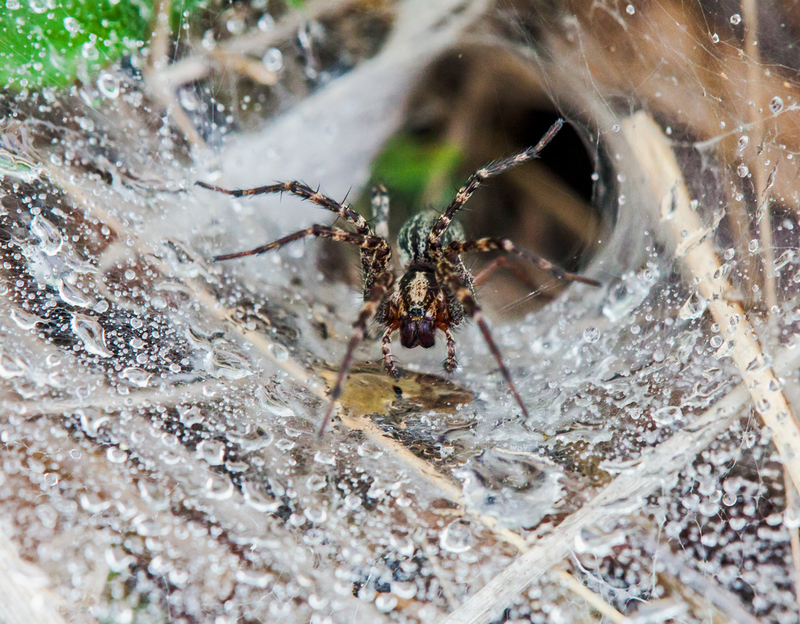 It’s fascinating to think about all the different ways that spiders are able to capture their prey, including all kinds of webs or even without webs, as is the case with jumping spiders and fishing spiders. It makes me happy that spiders are not larger, except perhaps in some Japanese science fiction movies, or we all might be in danger.